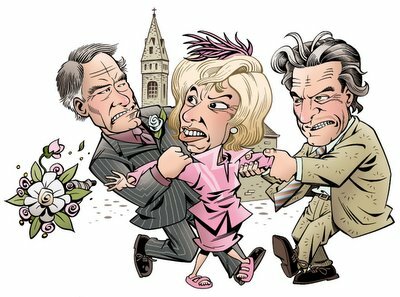 The Hotel Fred: Whatever Happened to Patrick Mower? Whatever Happened to Patrick Mower? Emmerdale happened to Patrick Mower, apparently. It's the show where old film stars go to die or something (Patsy Kensit being the most recent example). 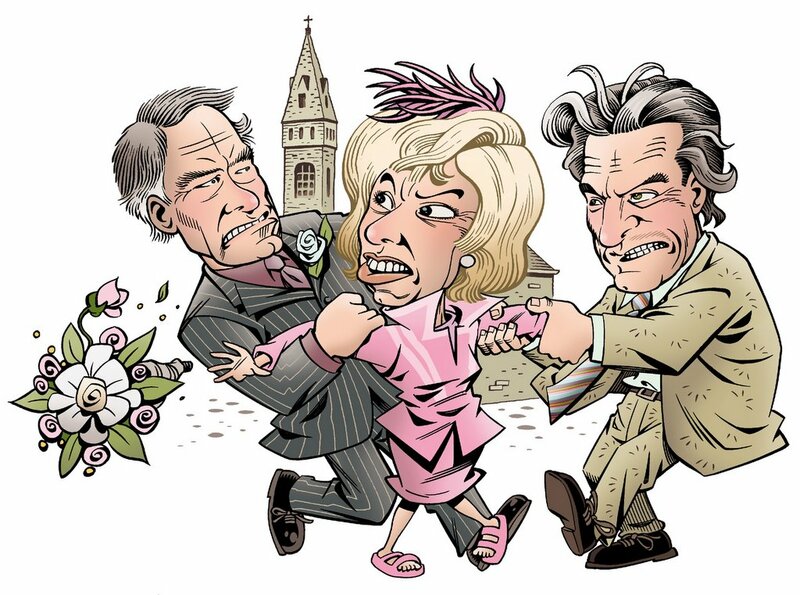 Another of my Inside Soap illustrations. Mower is the one on the right. For those who are thinking (like I was when I got the brief) "where do I know that name from? ", Patrick Mower appeared in films like The Devil Rides Out and was once tipped to be the next James Bond (after Sean Connery). Here's his filmography. Anyway, Mr. Mower earns a place in my pantheon of Decent Chaps because, to date, he's the only soap star I've done who said he liked the way he was drawn.